"Man. Woman. Life. Death. Infinity. Tuna casserole. One movie dares to tell it all." 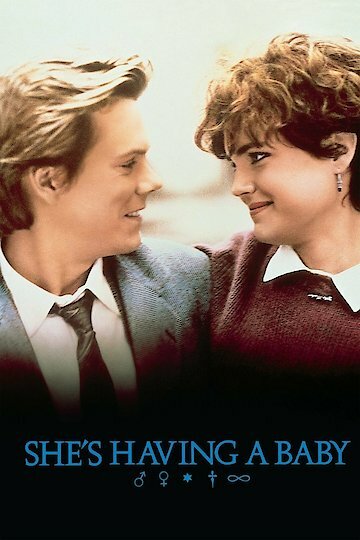 Kevin Bacon and Elizabeth McGovern play Jake and Kristy Briggs, a hilariously unprepared couple about to have their first child. Going through the ups and downs of a relationship is difficult enough without all the extras that these poor newlyweds have to endure. In-laws are usually a bit overbearing, but these families put the icing on the cake when it comes to meddling and giving unwanted advice. Throw in an annoying but somehow lovable best friend Davis and the pot is continually stirred! Kristy is struggling with the physical changes occurring in her body while Jake is trying to comfort her and deal with his own mental and emotional struggles about becoming a father. As the plot progresses, the couple learn that being married is about more than just trying to get along with one person. Together, they discover that simply accepting the total package of life makes things run more smoothly. From chaos on the job to morning sickness to drama in the home, life is completely unpredictable and the only way to get by is to not take things too seriously. She's Having a Baby is currently available to watch free on Tubi TV and stream, download, buy on demand at Amazon, Vudu, iTunes, YouTube VOD online.